Moroccan tiles are also called Zellige tiles or zellij are unique to Morocco. 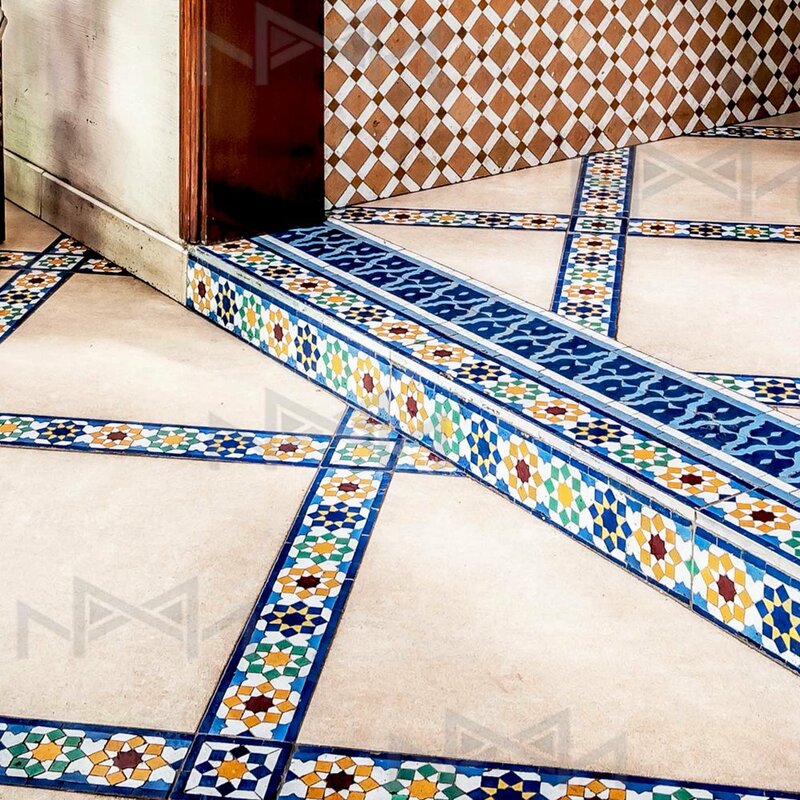 The tradition has been treasured from one generation to another and only very skilled craftsmen can achieve these complex geometric moroccan tiles works. Our zellige tiles are 100% handmade from clay to geometric mosaic pattern. Ideal for a kitchen backsplash, wall, floor coverings, but also for fireplaces, fountains or even swimming pools, zellige tiles have inspired many architects and designers to create custom original works.